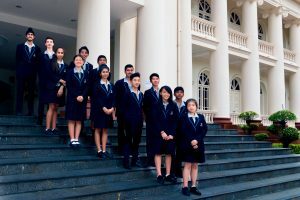 Earlier this month, 12 Year 10 students from Mission Heights Junior College, flew to Singapore to participate in the Hwa Chong Institute’s 24th Young Leaders Convention. This year’s theme, Media – Connecting the Dots, investigated the role various aspects of the media play in our digitalised world. The annual convention also aims to forge strong bonds across international borders between future leaders. Held in Singapore – the site of the heads of Government G8 Summit a week later – many of the students said the experience enabled them to discover new cultures, grasp new concepts, ideas, values and practices and learn how to put these into action. Probably the most significant personal achievement for the group was the ability to exercise their leadership skills in a foreign and challenging environment. The convention allowed them to share their knowledge and experiences among their international peers as well as identify relevant issues occurring in the digitalised world. The MHJC team were asked how this convention has affected or changed how they will conduct future group planning and mentoring. All agreed it has enriched the notion of “think global and act local” and they are excited about their own upcoming MHJC Student Leaders’ Convention in September. They now have a solid foundation and a framework to build on. The students were able to forge strong friendships with other delegates and intend to stay connected. All came away from the convention with a myriad of new ideas and concepts to integrate at Mission Heights Junior College as well as fond memories of their visit to Singapore’s tourist attractions. “MHJC was honoured to receive the accolade of one of its students, Harjot Singh Dharni being voted the Best Delegate of the conference. 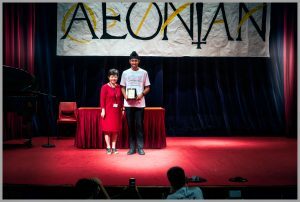 The award is presented to one student who has best displayed qualities of enthusiasm, teamwork and passion for all the activities and contributed to the spirit of unity and collaboration. – MHJC Principal, Ian Morrison. Are you interested in participating in a week-long Outdoor Education trip that promises adventure and new experiences? Well then, this opportunity is for you! OPC 2018 is a week long Outdoor Education trip taking place in Tongariro National Park.You will go caving, skiing/snowboarding, abseiling and so much more. It is an incredible opportunity to push beyond your comfort zone and experience all that the New Zealand winter has to offer. Depart Sunday, September 23rd (12:00 noon). Return Friday, September 28th (after 18:00). Low-ropes course, high ropes course, team building games, abseiling, skiing/snowboarding, caving, tramping, overnight expedition. These activities will be taught and supervised by experienced, fully qualified instructors. If you are interested in joining this awesome trip, please read the details in the email that has been sent to your school account, then ‘Turn In’ a letter of application with the below information to our OPC Google Classroom page (class code to join is jr1xg1d) by Wednesday, May 30th at 16:00. • Why you want to attend OPC 2018. • What you will gain from OPC 2018. • How active you are/your ability to partake in active endeavours. 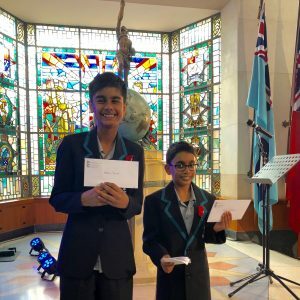 Nikhilesh Prasad, 9W2 (left) and Fauzaan Muhammed, 7W1 were named as finalists for the Auckland Museum 2018 Lest We Forget Poetry Competition. The judges were looking for poems that touched on this year’s theme of An Unprecedented Trial. Those that stood out took unusual perspectives or told stories that were somehow fresh. Both students were invited to read their poems inside the Museum on ANZAC Day 25 April and did so proudly in the presence of family and friends. Who would have thought Mission Heights Junior College could win The Volvo Ocean Race without leaving dry land! Education Perfect, the world online educator, worked with race competitors Team Sun Hung Kai – Scallywag, to create their own competition event using lessons relating to the science and maths behind sailing as well as the core Sustainability Programme of Volvo Ocean Racing. 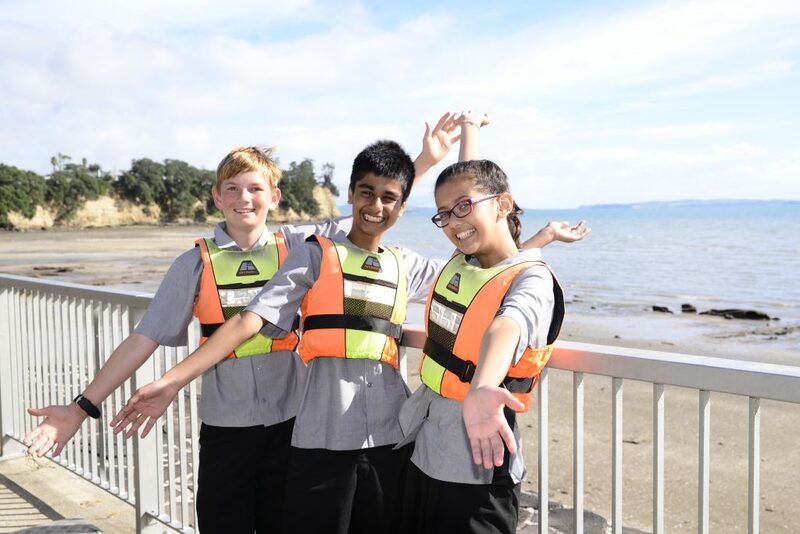 The Education Perfect Volvo Ocean Race Challenge took place over ten days in March, and included participants from more than 250 schools around New Zealand. MHJC Year 9 students, under the guidance of teacher Mrs Reshmika Lal, took to the contest like ducks to water, blitzing their competitors by adding to the school total of 558,259 points. The school took out both the Top Class (9W2) and overall Top School awards. This brilliant team performance doubled that of the second place finisher with 18 of the top 30 places also going to MHJC students. For their efforts the team has won a $200 shared lunch along with a very special keepsake – an official photo of Sun-Hung Kai Scallywag that has been signed by the whole racing team! Students say it was the excitement of the racing and the involvement with an actual Volvo Ocean Racing crew made up of Australians, British, Dutch and Portuguese male and female sailors that inspired them to keep going and ultimately succeed. Team Sun-Hung Kai Scallywag joins Education Perfect in congratulating Mission Heights Junior College on this outstanding achievement. Blair Telfer was elected to the role of Board Chair at Mission Heights Junior College at a similar time current Principal Ian Morrison began his tenure at the school. It could have been a case of ‘all change’ for MHJC but neither Ian nor Blair saw it that way. Instead, both believed the school was progressive in setting a pathway of innovative, personalised, learning and at the forefront of modern New Zealand teaching ideology. Through constant review and wise investment in the future, together they have helped the school to continue to hold its position at the forefront of teaching. “This year is significant for the Board and the school. It is co-incidental but wholly fortuitous that our School Charter, that sets the vision, values, goals and strategic direction for the next 4 years, is due to be updated and preparation of a 10-year property plan is underway. Although separate, both of these key documents are intrinsically linked. Once direction has been determined for the immediate future, it is then necessary to ensure the school has the tools and resources to meet our goals. This includes all aspects of the property portfolio – inside and outside the classroom. Key also to this success is the highly qualified, experienced and committed MHJC staff which has implemented the school vision with passion and is ready to take the school into the exciting future. Board Members: (from Top Left) John Bassano – Deputy Chair, Catherine Hunter – Teachers Representative; Seinjileen Naidu, Mrs Sian Grant, Jason Tuhaka; Naddy Naidoo– MHJC Deputy Principal; Blair Telfer – Chairman; Victoria Kree – Student Representative; Ian Morrison – MHJC Principal. 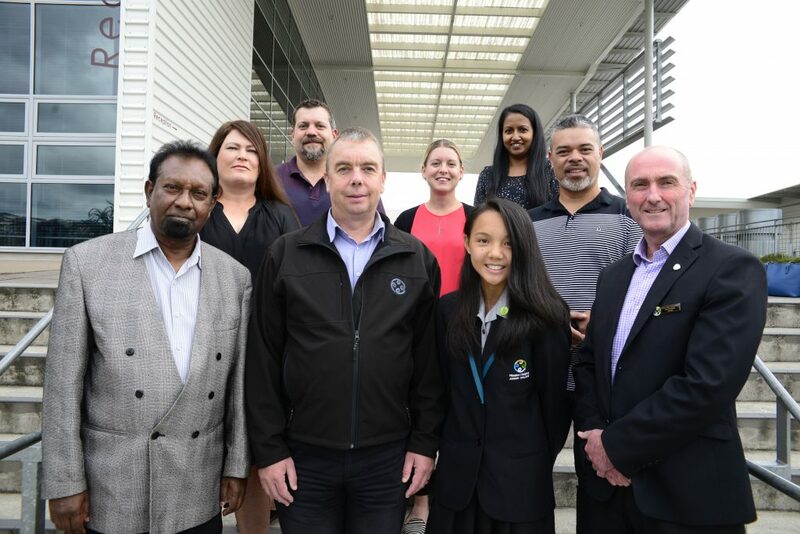 The 2018 Mission Heights Junior College Executive Council was appointed earlier this year following nominations by students and whanau staff. In keeping with its tradition, it will continue to provide a student voice in many areas of school life. Several sub-committees have been formed which will carry out their responsibilities through the year. These include organising socials/discos and mufti days; co-ordinating the supply and sale of leavers’ jerseys; deciding on a legacy project and charity to support from funds raised and organising the second MHJC Student Leaders’ Conference. Feedback to Mr Morrison and Mr Naidoo will also be given as to how the school can be “climate friendly” starting with suggestions about the site and the students’ uniforms. The group have also agreed to bring awareness of mental health issues by organising a Pink Shirt Day in May. Coinciding with the nationwide effort, it will emphasise the need to promote a safe environment where everyone feels valued. The idea that we are all responsible for creating this awareness is essential and even small acts of kindness are important. To show our connection to the community, the Council will be part of the ANZAC Parade at Stockade Hill in Howick and sell poppies at school to raise funds for the Howick R.S.A. 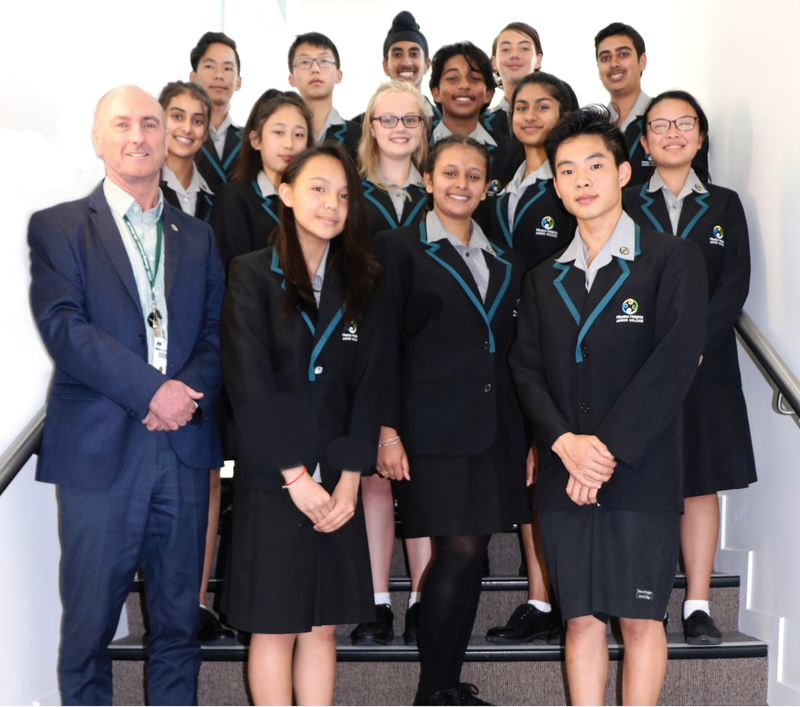 International connections will be strengthened with seven members of the council forming part of a thirteen strong group who will represent the school and New Zealand at the Annual Student Leaders’ Convention in Singapore. We wish them all the best for the year ahead and we will no doubt hear more of their activities as 2018 progresses. Front Row: Principal Mr Morrison, Victoria Kree, Pahul Kaur, Paul Chan. Tag Team Twosome win Medals! 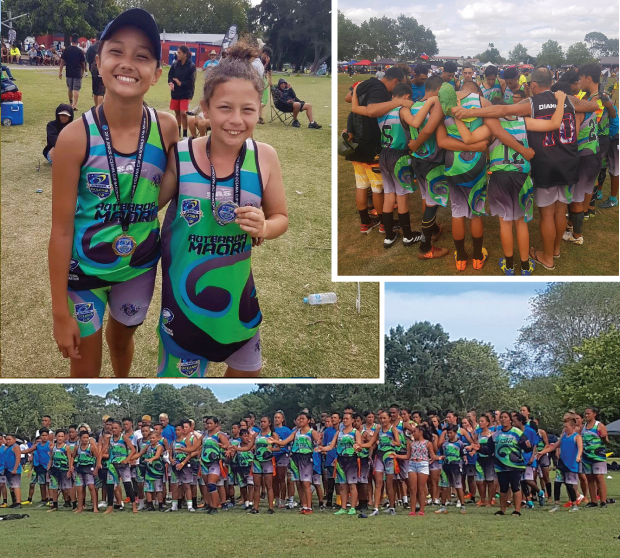 Mission Heights Junior College students, Brooklyn-Rose Timu and Troy Korewha (both 8F1) took part in the inaugural Oceania Cup Tag Tournament held over 3 days, in South Auckland. Both represented Aotearoa Maori, with Troy in the U14 Boys and Brooklyn in the U14 Mixed Team. Competition was fierce with teams from as far away as Sāmoa, Tonga and The Cook Island’s. The Aotearoa Maori boys Team earned a Silver medal in the tournament and the Mixed team won the Gold Medal in the final! Tag is a great sport for young people and often used as a pre-season warm up and fitness for other winter sports. Great friends, Brooklyn and Troy, have played netball, tag and performed Kapa Haka together during their schooling, putting their heart and soul into training over summer. 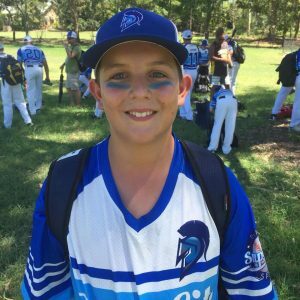 Fantastic effort Brooklyn and Troy – making MHJC proud! 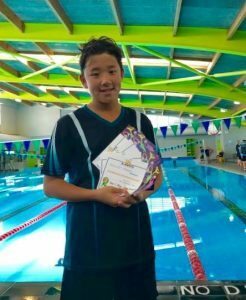 Qualifying to represent Mission Heights Junior College, Leo Arrowsmith has performed brilliantly in the pool on Friday at the South Eastern Zone Swimming Competition. 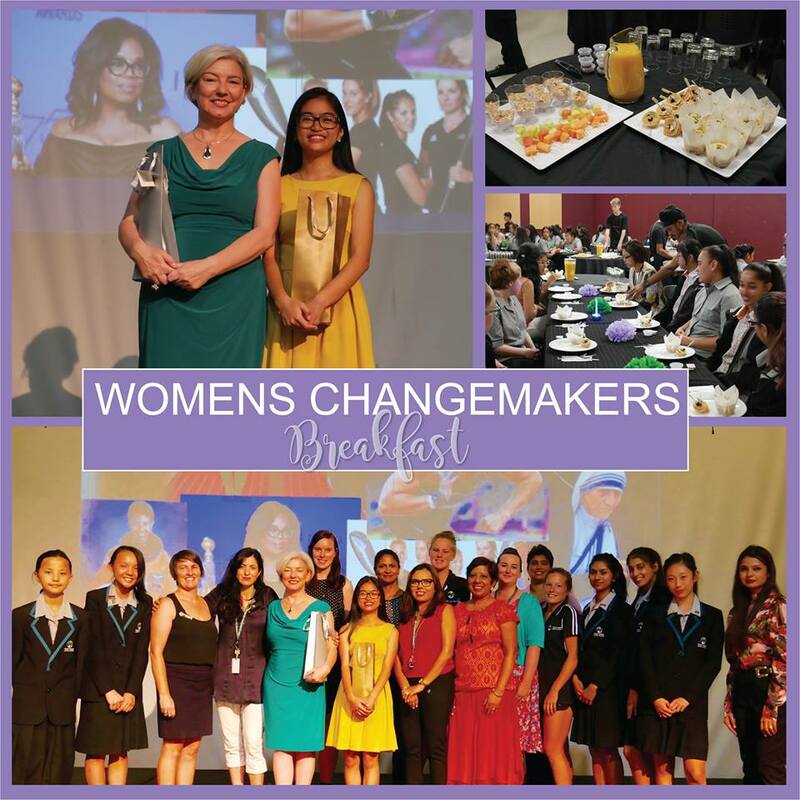 Mission Heights Junior College was host to the second in the series of Womens Changemakers Breakfasts on Tuesday morning. Two highly inspiring women spoke to the audience of students, teachers and family. Tracey Moore, born in the UK and living and working in New Zealand since 2005, is passionate about the beauty of her adopted country, the heritage of Te Ao Maori and the diversity of Auckland. Her life has been spent serving and developing individuals and communities and her current role, General Manager Service Strategy and Integration at Auckland Council offers the opportunity to drive performance improvements that directly impact a positive customer experience, as well as developing people within council. Tracey is also Vice Chair of Auckland Regional Migrant Services has completed the Global Women Breakthrough Leaders programme. Our second guest speaker, Keera Ofren, is President of Amnesty International Aotearoa NZ’s youth on Campus at the University of Auckland. Her 5 year journey with Amnesty and activism began in high school after learning about Amnesty in a social studies class. Since then, she’s made working towards a future of freedom and rights for the world her goal and main value. She is currently studying Law and Arts conjoint specialising in Politics and International Relations. Keera believes there are a great many misconceptions about Amnesty International but essentially it is ones’ duty to always question and ensure that the protection of human rights is at a reputable standard. Amnesty International’s recommendations are drafted specifically as steps that the nation in question can realistically follow. The job is that of a watchdog giving hope to the victims of human rights violations. Baseball Brothers at their Best! 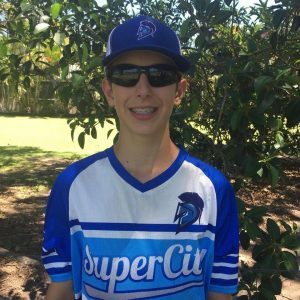 Two of our MHJC students, brothers Ricky and AJ Bassano, flew to Australia in January after being selected to represent the Super City in the 2018 Gold Coast Classic Baseball Tournament. Representing our country, Ricky(U14) and AJ (U12) took part in two of the three age grades and had an amazing time making lots of new friends from all over New Zealand. Ricky’s team U14 came in third place and AJ’s team U12 won first place. The U16 team also took first place. Super City Spartans did New Zealand proud! Well done boys with many more years of competing and a promising future in the sport to come!